Since we launched Founders4Schools in 2011, we have made incredible progress building a service that improves student employability. The aim has always been simple – give teachers access to a network of successful, local business owners. These are a singularly inspirational group. 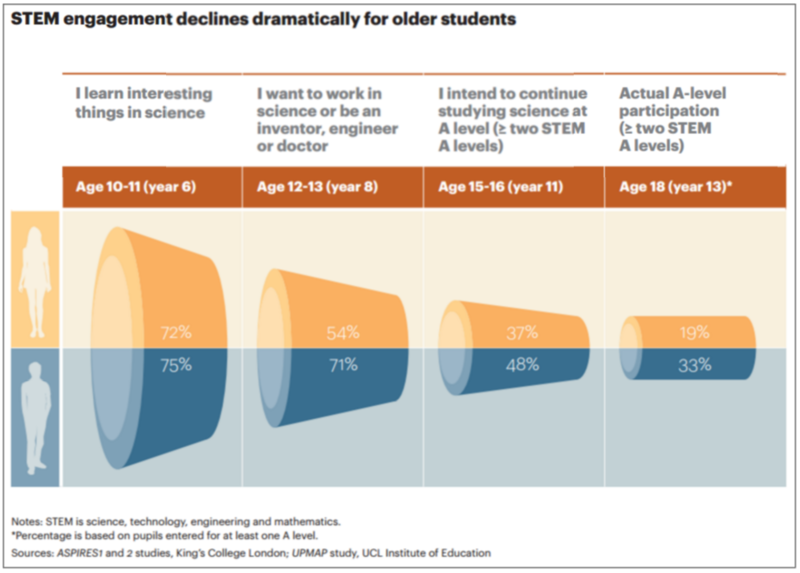 We know that exposure to just four business leaders decreases by five-fold the propensity of a young person to ever become NEET, and we know from our own experience that 54% of the students who meet F4S role models end up choosing a STEM subject. That is three times the national average. The challenge that we still face may appear overwhelming. Student employability is more important than ever. There are 1.2 million job openings at the moment and nearly one million young people without a job and yet 70% of employers report that school leavers are not work-ready. And the longer a young person is not in training, education or employment, the less likely they are to return to work: this skills gap hurts more than just young people, costing the UK economy more £90 million each week in support costs and lost productivity. That is about to change, radically. The partnership that we are announcing today with CEC means that, within 18 months, the Founders4Schools platform will be taken to over 3,000 schools in England and will see our inspirational volunteer founders able to inspire an additional 1.5million youngsters (see press release here). Partnering with CEC is a crucial step. CEC and the Local Enterprise Partnerships (LEPs) they work with have a vast network of co-ordinators and advisers who have the responsibility to help teachers navigate the bewildering array of external initiatives relating to careers advice and STEM education. CEC can now give teachers and advisors critical training so they can access business leaders in their local community with just a couple of key-strokes – for free. It will mean that thousands more schools can draw on the F4S community of leaders of successful growing businesses who are responsible for creating 100% of the net new jobs that these teenagers will soon be seeking. It will mean that we will be able to record the impact of our student employability programmes. The F4S service tracks the decisions on study options made by pupils and the results they get. This data will be priceless in helping us to understand what gets the best results for students and to share what doesn’t work. Further to that, we will focus this training on England’s most needy areas so the ‘post-code’ lottery for youth employability will be stopped. All young people in our school system deserve to be prepared for the world of work. Another benefit from this news is that it represents a huge endorsement of evidence-based ed-tech charities. CEC have selected the best schemes across the country to partner with, so to have been given their backing is a compelling stamp of approval. So over the next six months we expect to see things step up another gear or two. If you are one of our volunteer business leaders, expect to be contacted by a teacher at a school near you. And if you are a teacher please speak to your school’s CEC co-ordinator to find out how you can start using F4S. There’s still a lot of work to do, and more exciting news to come. Thanks so much, as always, for your continued support. The gap between what skills students learn as opposed to need in their work life is a problem we all care about and want to eradicate. Two reports published recently by the World Economic Forum identify 16 skills that students should develop to be successful in the evolving digital economy. 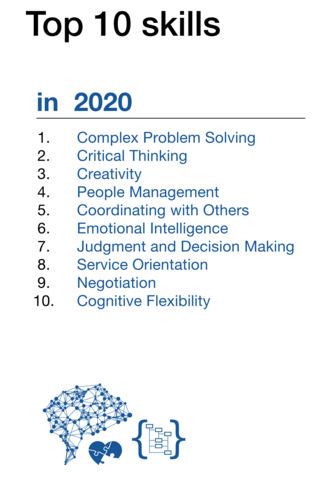 Along with the abilities to collaborate and communicate well (part of Social and Emotional Learning, or SEL), the top 10 skills needed by 2020 also include creative and critical thinking. Both reports concur that the most important skill to master is problem solving. 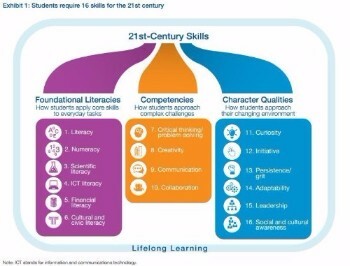 So how do we teach these skills effectively? 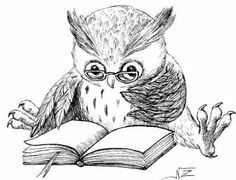 Through a variety of learning strategies that foster emotional, social but also analytical and critical thinking. Of course another resource you can use to help your students appreciate the importance of these skills is by bringing the very people who understand them into your classroom – business leaders can tell your students about the skills they are looking for in candidates and what they will very likely require in the near future. “All students were extremely inspired and it provided much food for thought. Students (and staff) particularly liked Shailen’s RPM acronym: we will all remember ‘Result, Purpose and My Action’ as it will always resonate and be applicable whatever pathway the students choose. In a global first, new analysis – based on open-government and LinkedIn data-sets – we are pleased to reveal the 735 Britain’s most inspiring women who are running growing businesses with more than 1 million in revenue. Our analysis shows that of these, 435 are growing by 20% and 271 are growing their businesses by 50% or more. And the best thing – you can directly invite them to come into your classroom! The fact that these 762 examples are available to inspire the next generation of girls about the impact they can have on the world is very exciting. We hope that this will empower you to connect with them, help inspire your students and further develop our home-grown talent – keeping Britain’s productivity thriving. Many thanks to Niamh McGuinness from St Marks West Essex Catholic School and Shipra Malhotra from Townley Grammar School who celebrated International Women’s Day by inviting some of these inspiring female leaders to share their careers stories on success, learning from mistakes and how to drive the UK economy with their students. 4 March, 2016. London, UK. Sherry Coutu, Martha Lane Fox, Joanna Shields, Anya Hindmarch, Neelie Kroes and Reid Hoffman and are amongst the world-leading entrepreneurs and business leaders welcoming ground-breaking new service to celebrate International Women’s Day. In a global first, new analysis – based on open-government and LinkedIn data-sets – reveals how companies led by women grow, perform and rank – identifying the fastest-growing and most dynamic women-led businesses across the UK. 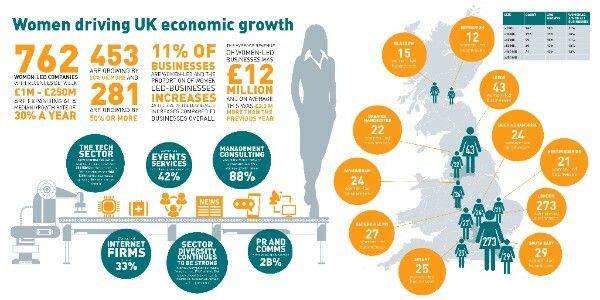 This is the first time local interactive cluster maps all across the country have been created showing the location of growing business led by women with £1 Million to £250 Million in revenue. No other country has ever produced such detailed insight, a clear indicator that the UK is the best place in the world for ambitious women to scale-up their global business operations. Such in-depth analysis will also give the UK the competitive edge over other nations as it allows home grown companies to improve their visibility and appeal – and subsequently secure the talent, support and finance they need to flourish. The new research, compiled by Founders4Schools, the ed-tech charity that brings business leaders into schools to unlock the employability of young people, is supported by Doteveryone, the national organisation founded by Martha Lane Fox to rebuild Britain for the Networked Age and by Silicon Valley comes to the UK, a programme now run out of London & Partners to support scale ups. 762 women-led companies with revenues between £ 1M – £250 Million are expanding at a Median Growth Rate of 30% per cent a year. 453 (59.4%) are growing by 20% or more and 281 (37%) are growing by 50% or more. 11% of businesses are women-led and the proportion of women led-businesses increases as the size of the businesses increases and as the growth rate of the businesses increases, compared to businesses overall. The Tech Sector accounts for 517 of the 762 (67 %) women-led businesses with 300 (58%) of the businesses 20% per annum and 188 (35%) of the businesses growing 50% or more per annum. After Greater London with 273 women led businesses (led by Camden with 44), Leeds is a stand out city with 43 women-led companies, followed byEnterprise M3 and the South East, home to 29 women-led companies each. Sherry Coutu CBE, Chair of Founders4Schools & Author of the Scale-up Report said: “We are delighted to celebrate these women who are making a major contribution to UK economic growth. I hope by literally, putting them on the map they will find it easier to find the talent to hire to fill all those orders their customers are placing with them. I am hopeful that this will help them to attract the talent they need to fulfill the huge pipeline of customer orders they need, I am hopeful that this may also help them with their international expansion plans and perhaps even financing. I set up Founders4Schools to inspire young people to consider starting their own businesses. I love the examples set by women like Anya Hindmarch, Lucinda Bruce-Gardyne at Genius Foods, Julie Deane from Cambridge Satchel Company and Kathryn Parsons from Decoded. The fact that we now have 762 examples available to inspire the next generation of girls about the impact they can also have on the world is very exciting. Commenting on the data findings, Martha Lane Fox, Founder of Doteveryone said: “Whilst the data shows the tech sector accounts for (67 %) women-led businesses in the UK, there is so much more to be done. Women currently occupy just 17% of tech jobs and make up only 3% of partners in venture capital firms. Fewer than 1 in 10 of these women are in leadership positions within the sector and, perhaps most shockingly, women only hold 4% of software engineers”. “On a global scale, its cited that women entrepreneurs are poised to lead the next wave of growth in tech, and the high-tech companies women build are more capital-efficient than the norm. If the UK is to leapfrog every other nation on this planet to become the most digital, most connected, most skilled and most informed on the planet – we urgently need to address the gender imbalance within the tech sector and ensure that our leaders, investors and entrepreneurs come from the widest pool of home-grown talent. This amazing new open data from Founders4schools will support those brilliant women who are helping drive the UK economy and will enable us to foster the maximum breadth and depth of digital talent that the UK has to offer”. As many of you may recall we recently made a number of improvements in our insights tool that allows us to celebrate the cities that do the most in increasing the employability of their young people and we developed a whizzy tool to allow for real time reporting on role model availability in every corner of the UK. Want to know if your local area is amongst the top 10? Click here. Or perhaps you want to know which local authorities lead the way with businesses that are led by women? Ahead of International Women’s day we have crunched the numbers in a global first, Founders4schools using LinkedIn datasets and government open data research that shows how women-led business perform, grow and rank. Read the press release here and see a short presentation with key data here. The same tool allows us to report that Founders4Schools has helped teachers inspire more than 22,000 students in the UK and has facilitated more than 70,000 interactions between students and employers. 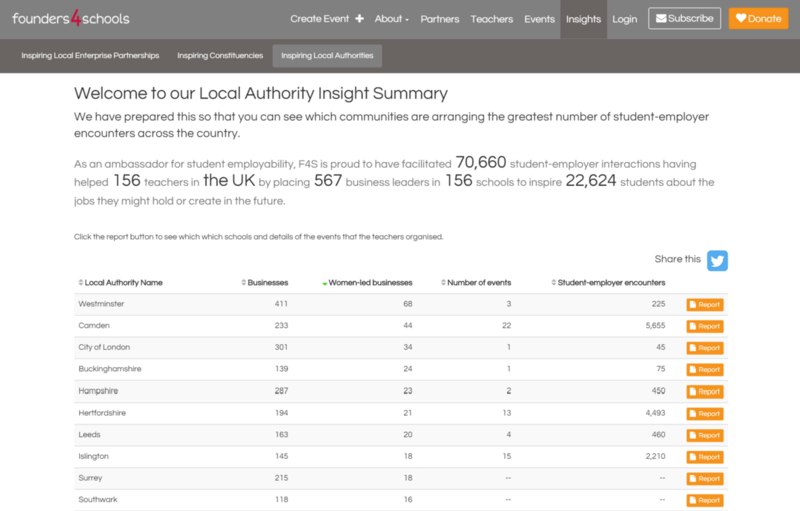 Following the updates on our insights tool we mentioned to you last month we now know that Founders4Schools has helped teachers inspire more than 22,000 students in the UK and has facilitated more than 70,000 interactions between students and employers. Thank you! We could not have done this without you. As emphasised by the Tough Choices Report which was developed by the Your Life Campaign and A.T. Karney and launched earlier this week and explores the reasons why the majority of students choose non-STEM subjects, students are unaware of the opportunities that a basic knowledge of these subjects can offer them: opening doors to jobs in almost every sector. This lack of knowledge, opportunity and access to the business community that can demonstrate the benefits of understanding technology and maths leads to underachievement and an unacceptably high number of job vacancies that cannot be filled – a gap between the skills that young people acquire and and the jobs that need to be filled. 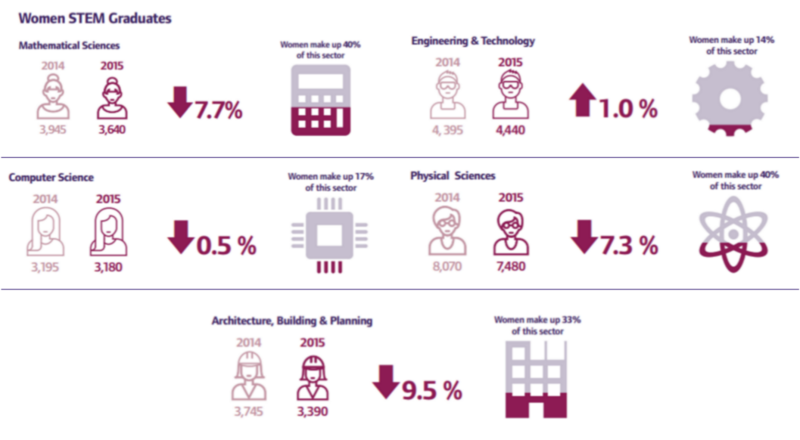 …as will the gender gap as this analysis by the WISE campaign and Engineering UK shows. Fewer women graduated from UK universities with a STEM degree in 2015 than in 2014 (a 5% drop) with only 22,130 women graduating in the five core subjects most relevant to construction, engineering and technology. We are certain we can change this as more and more teachers follow examples like that of Bev Whild from Harrogate who in preparation for British Science Week has arranged for a number of activities for her 8-10 year old students so that they are inspired by what knowledge of STEM can lead to. She has invited 3 local business leaders who employ more than 1,400 people to talk about their careers and how they see the future shaping. See more here. In addition, we know that there are many thriving businesses across the country that are being led by women and who already volunteer in local schools. Ahead of International Women’s day, we have built a whizzy AI that will help us celebrate their success and how they give back to their local community. Get ready – International Women’s Day and Science Week are coming up in the next couple of weeks. The Wise Organisation published an interesting infographic this week that compares how many female students graduated from UK Universities in 2014 and 2015 in the five main STEM subject categories. The downside is fewer women graduated in four out of the five STEM subjects. 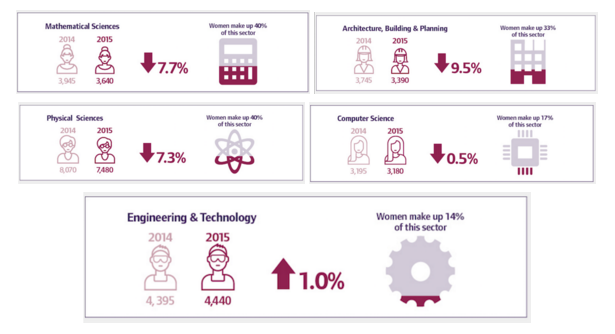 The good news is that the number of graduates in the subject with the least proportion of women – Engineering & Technology (where women only make up 14% of the sector), has increased nationwide by 1%. This is a good sign. Predictions state that over the next 10 years there will be more job openings than the number of students graduating in these industries, but we have to help students’ understand what STEM really means. The earlier your students understand the diversity of exciting STEM jobs, the more empowered they will be when they come to make key decisions about their future. We know how important role models are for doing this and we know first hand from attending some events that you do an amazing job in getting your students excited about their future careers and potential opportunities in STEM fields. This is where Founders4Schools can help – we’ll bring the industry experts into your classroom who can help your students discover the skills and pathways to be successful in our future economy. Afterall, these are the very people creating the new jobs and it’s important that they help our students understand the shape of the workplace – both today and for the generations to come. Bev Whild from Burton Leonard Church of England Primary School is bringing three local business leaders in to encourage her students thinking about STEM careers. Donna Perry invited three local business leaders to bring “STEM to life” at Daven Primary School. Shipra Malhotra, teaches sciences at Townley Grammar School and invited two women leaders to showcase STEM careers. 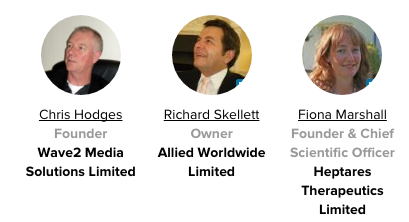 Simon Armitage at Stephen Perse Foundation is highlighting Women in STEM with local business leaders. We’ve had a terrific start into the new year – thanks to you! We were really excited to see teachers creating so many events for their students so that they gain better insight to the skills they’ll need in the world of work. We’ve now been responsible for more than 70,000 employer – student interactions that have taken place because teachers find the F4S service easy to use! We’re really pleased to thank the teachers who suggested that we introduce new ‘Event Types’ like careers fairs. They have been well received and teachers all over the country have started using F4S to organise SMEs joining the careers fairs that are taking place at their schools. Thanks for sharing! Check out the growing companies in your area and invite their founders and directors into your school to connect your students with them and get them informed about the local employers that are creating the jobs your students will want to have. 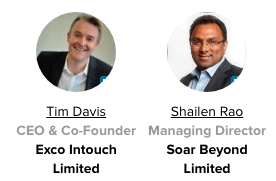 Joanne organised seven role model events starting at the beginning of March – these eighteen business leaders and entrepreneurs will come to her schools to share their stories with 280 Year 13 students and highlight to them how they could create impactful careers. 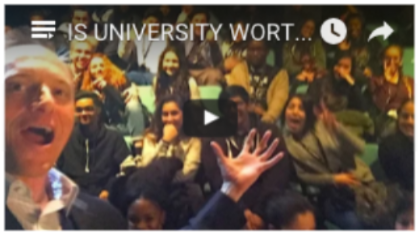 We were really excited to watch Brian Rose’s video upon his visit to Westking College. It encapsulates in a nutshell why connecting students and business leaders is a benefit to all. Big thanks to Emilie Delacroix, Enterprise Project Coordinator, and the 120 Year 12 students atWestminster Kingsway College for making this happen. About Stanford Professor Carol Dweck’s research on ‘Growth Mindset’, which revealed that ‘the key to instilling a growth mindset is teaching kids that their brains are like muscles that can be strengthened through hard work and persistence’. The Wise Organisation published an interesting infographic this month that compares how many female students graduated from UK Universities in 2014 and 2015 in the five main STEM subject categories. The good news is that the number of graduates in the subject with the least proportion of women – Engineering & Technology (where women only make up 14% of the sector), has increased nationwide by 1%, which is a good sign. Role models are important to empower your students when they come to make key decisions about their future. A recent article by the Computer Business Review, identified three things that you need to get your students excited about STEM: Minecraft, Coding & Role models. We find the Minecraft story particularly inspiring – imagine you would be the teacher to encourage your students in maths and physics to go on and create the next big gaming success story for literally billions of people on the planet. How would that feel? What would you say? We can help you get the people in your classroom to inspire your students to create the next Minecraft. Read about how Bea Tamizi, a science teacher at Marriott’s School, invited three local business leaders for Science Week into her school to help her students across Year 7 to 11 understand how STEM helped them think about their business careers. How would you advise your teenage self? 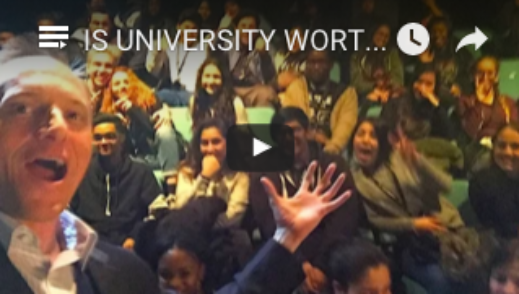 This fabulous video of Brian Rose, founder of London Real TV, encapsulates why connecting your students to business leaders is a benefit to all. Big thanks to Emilie Delacroix, Enterprise Project Coordinator, and the 120 Year 12 students at Westminster Kingsway College for making this happen.